What's The Greatest Engine of All Time, Period? 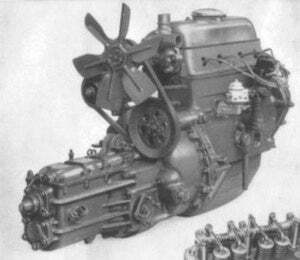 What&apos;s The Greatest Engine of All Time, Period? You saw this coming, right? We argued over the merits of the best four-cylinder, the best inline six, and the best V8, and we'll get to the V6s, V12s, radials, and everything else... someday. Today, however, we choose the king. Maybe "choose" is too strong a word, because there will be no consensus. However, that doesn't mean we want you screaming at each other, so keep it civil— yes, small-block Chevy, Porsche boxer, and Honda B single-interest zealots, I'm talking to you— and back up your assertions with, like, arguments that make sense to the rest of us. Personally, I'm unable to answer this one. The Citroën Traction-Avant engine, which debuted in 1934 and was still being installed in new cars into the 1980s, deserves consideration. The small-block Chevrolet, without a doubt. Also without a doubt, the Toyota R. The Chrysler Slant Six. The BMW M10. The Model T flathead four. Yes, it's impossible! You might refer to the Engine Of The Day Overload page for inspiration.